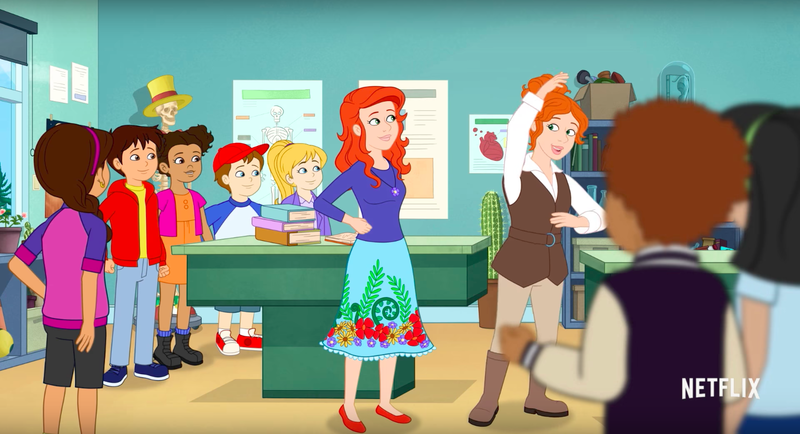 Well I’ve been following this show closely for a year before it came out since the show seemed to have fallen off the radar without any news but finally we have a new Magic School Bus cartoon with Rides Again and it’s actually very different from the originally announced Magic School Bus 360 that was supposed to be in CG featuring new kids. I was extremely disappointed when I saw the trailer, but after watching all of the episodes that encompass the first and second seasons, how is it really? The art-style is awful, makes me feel like I’m watching an expensive flash cartoon or a Dora show, in fact it feels like a those cheap revivals shows had in the 90s from older properties. I really wish they had gone with CG since the King Kong CG Netflix show they had while a bit boring had awesome CG. 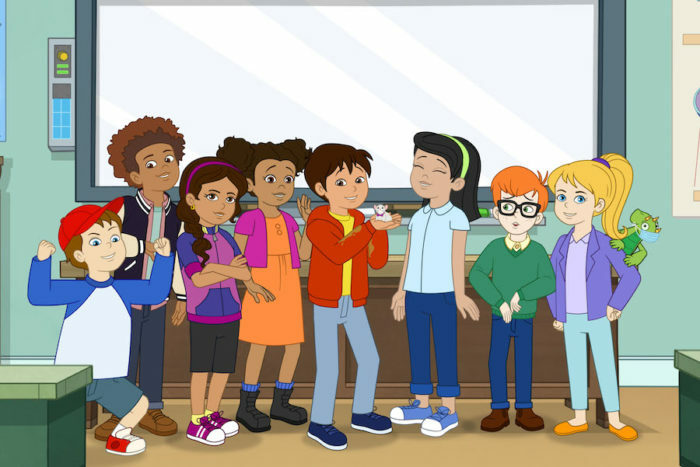 The show does look nice and clean at least but the character designs are so uninspiring and generic, I literally can’t tell any of the kids apart besides Arnold, and not because he is the exception but it’s easy to tell him apart because of his glasses, he also gets the most focus in the entire show. 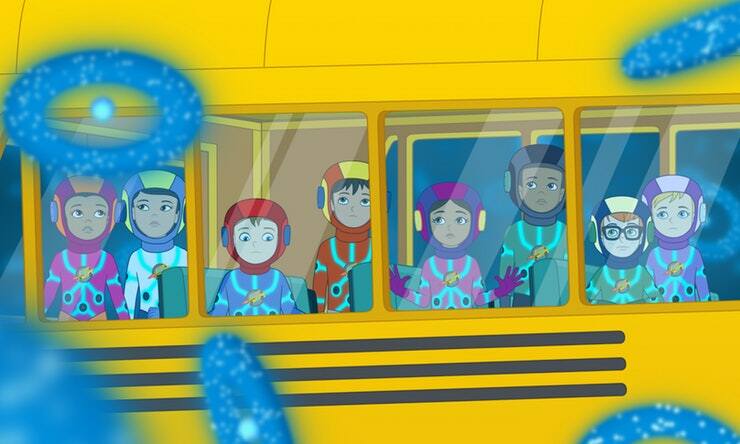 They also got rid of Phoebe to add more diversity to the group, if there ever was a show that had enough diversity it was this one and the new guy is the definition of bland, he only appears in the background most of the time doing nothing, Phoebe at least had some quirk with her “at her old school” comments. The other students fare a little better at least showing some of their personality from the original show but not by much either, the new art style seems to have also sucked most of their personality away. This proves lethal to some of the less developed characters of the original show since even the charismatic ones take a huge hit. All those internet memes didn’t help Carlos avoid this either. 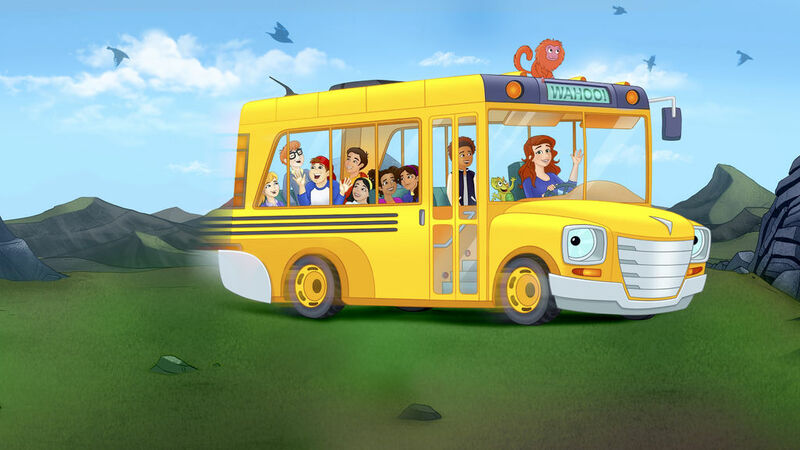 The bus actually has a rather cool design but here it’s only treated as a vehicle without a uniqueness that made him as much of a character as the rest of the students in the original show, Liz the lizard doesn’t fare better. Ms. Valerie Frizzle is replaced by her sister Fiona who fills pretty much the same role but is younger looking, sadly she seems forced into the Frizzle role and comes off as trying too hard. 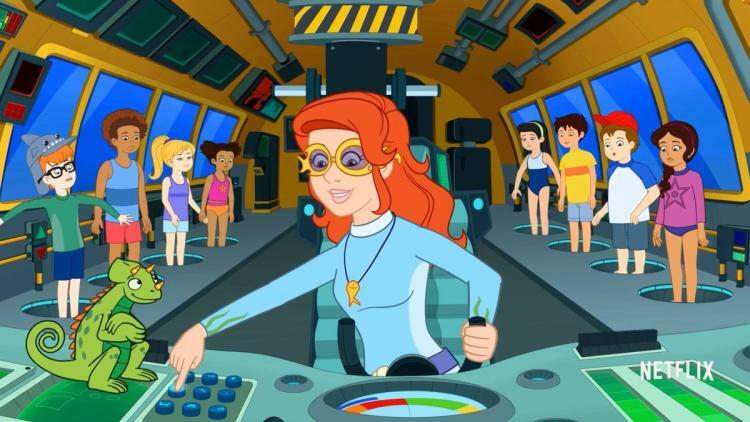 I do like that the original Valerie Frizzle basically goes on adventures now without the kids, you mostly see here on the ending segments. If you don’t know Frizzle had a series of books where she did exactly that, so the show is actually sticking to scholastic canon with that! The theme song which is mostly the same with altered lyrics made it seem like it would repeat a lot of the same plots of the original show however that isn’t the case, they do feature mostly new science topics, sometimes they do a good job and others are a bit boring since the plots aren’t as interesting as in the original show which makes you care less. Also some times they went overboard with their explanations which isn’t good since their target audience is kids. The times they do repeat some of the science seen in the previous series it at least tries to give it its own spin or focus on it in a different way than the original show did. I remember in the original press release they mentioned they wanted to focus on technology and their roles in our lives which sounded awesome but the only things that you see are stuff like a random tablet here or there and the mention of blogs.. Apparently the original show has always been a great performer on Netflix which is why they ordered this one, so it’s odd it only got 13 episodes. Also weird that they didn’t pay more attention to it to make it better, especially since it was even delayed. The show should’ve been a reboot but instead it’s a continuation of the original show but far less interesting as the characters are boring and the stories are lackluster. This version is also aimed at a much younger audience than the original show but that’s no excuse. 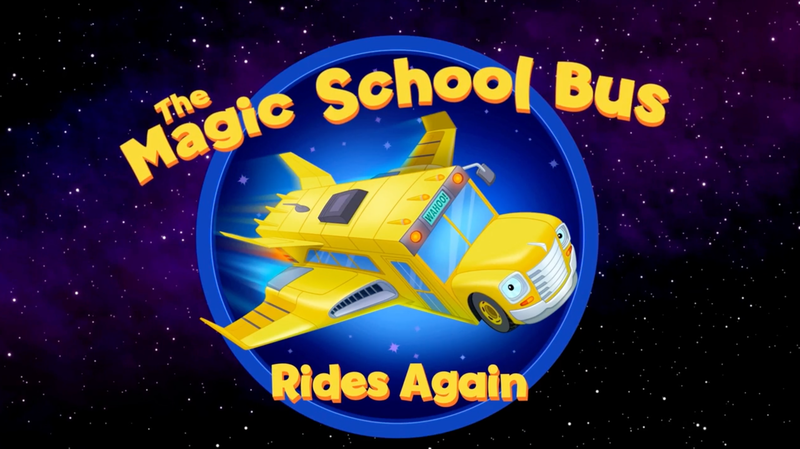 Only die hard Magic School Bus fans need apply, while it could be worse as it is now it’s just a poor kids show when compared to the original. Netflix likes to divide their kids shows into two so he second season is really just the second half of the show is really just more of the same. 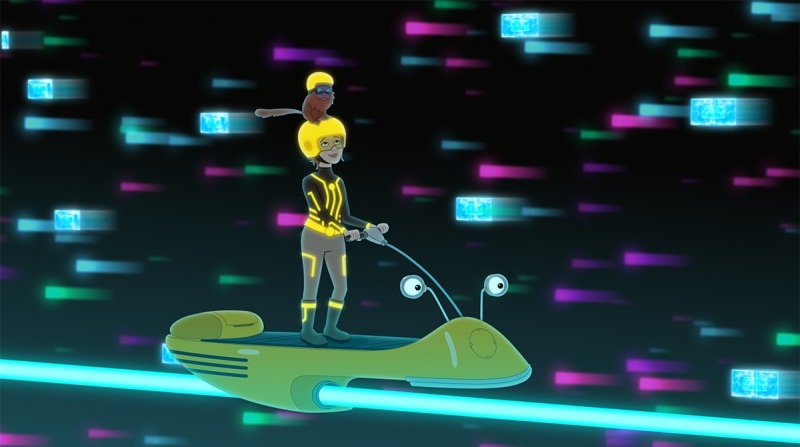 I really like that they touch new topics like the internet but as I mentioned some explanations are a bit complex and not as easy to grasp as the original show was. That’s fine for adults but not so much for little kids. Most characters lack the personality as I had mentioned and that doesn’t get any better which doesn’t help the generic designs. It’s interesting they don’t repeat topics already covered in the original show and when they do they go for a new take. I liked that they didn’t shy away from topics like having an episode all about poop.